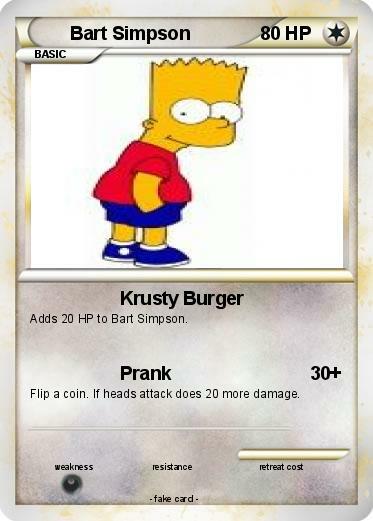 Adds 20 HP to Bart Simpson. Flip a coin. If heads attack does 20 more damage.